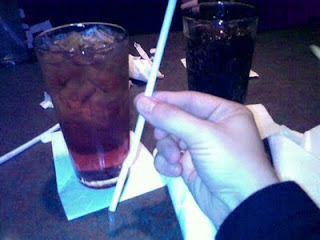 I think I've posted when this happened before, but it's happened again: my straw was manufactured upside down. Now I have to move to China or Australia or something in order to drink my tea! or you could just turn it over...sorry....had to be said.